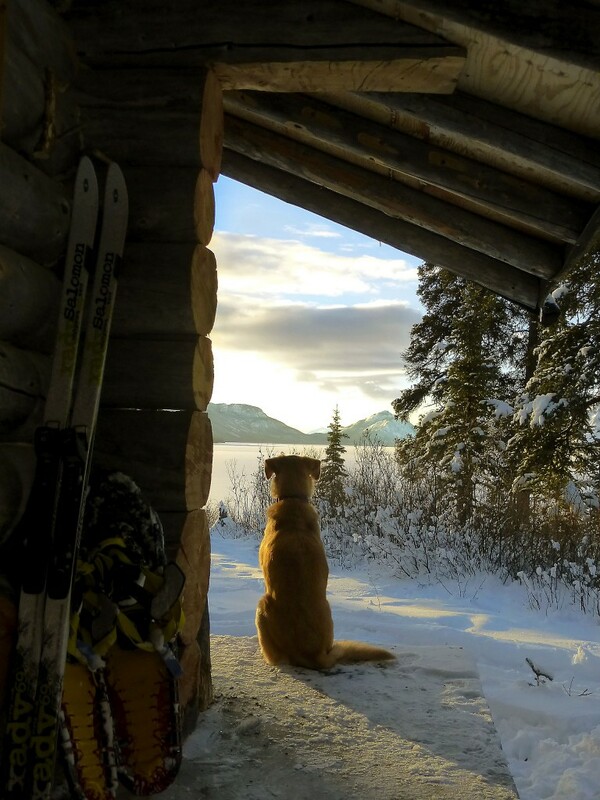 Our wilderness cabins are situated on secluded Dalayee Lake, nestled in the rolling hills of southern Yukon. 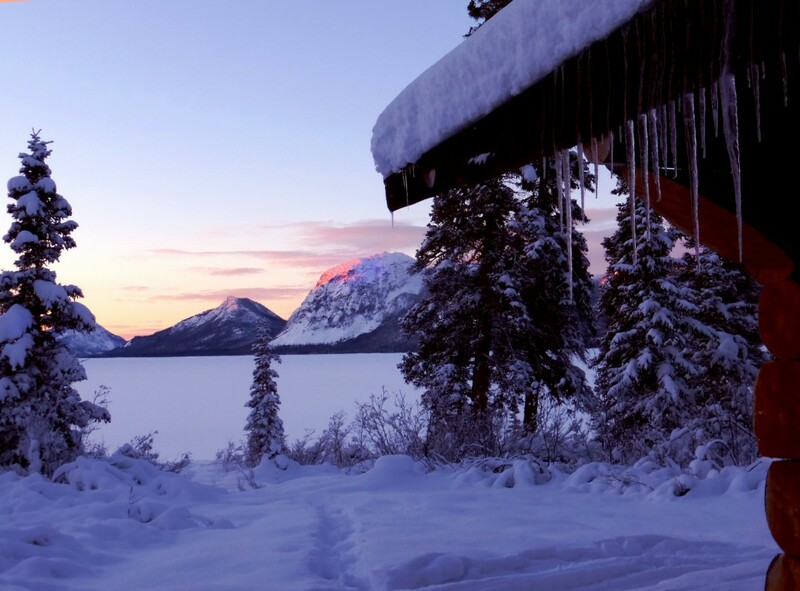 Accessible by skiplane or on skis or snowshoes, the rustic log cabins offer a true respite from the stresses of modern-day life. The lake is at an elevation of about 970 meters / 3200 feet and is ice covered from December to May. This is an awesome place to relax and explore winter solitude at its best. The Lynx cabin is available year-round and the recently completed wood fired sauna gives it a special touch. The two story LYNX is the one we rent in the first place, offering room for four to five people. On the main floor you will find a sofa, table with chairs and a kitchenette equipped with everything you need for your cabin adventure. The upper floor has one queen size bed, a bunk bed, an additional sofa and also boasts a veranda. There is no electricity and no phone service on the property. Dalayee Lake lies – as the crow flies – 85 km / 55 miles southeast of Whitehorse. Fly-in by skiplane gives you a great birds-eye view of the region and is a choice you will not regret. On the road it is 110km / 70 miles to the trail head. 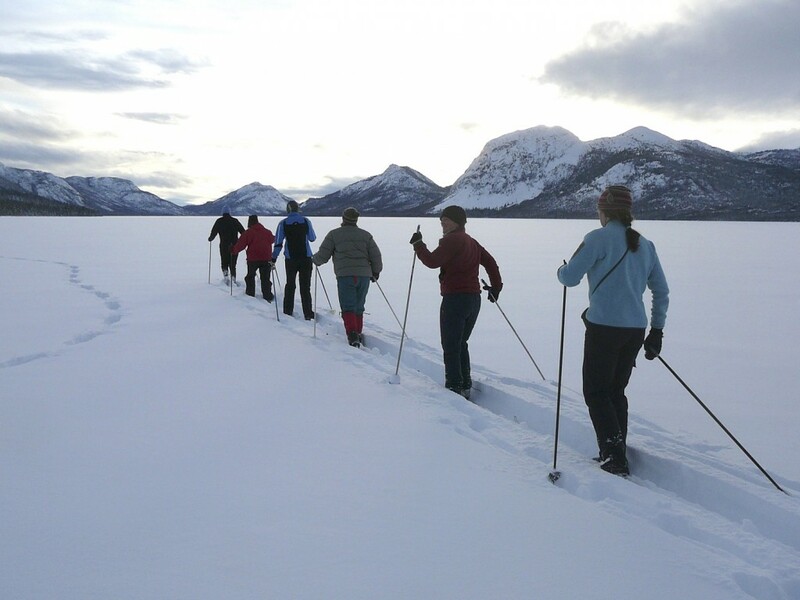 From there you can ski or snowshoe the 9 km / 5.5 miles to the cabins. The trail follows a gentle slope thru a winter-fairytale forest. Elevation gain is approximately 200 meters / 650 feet. Cabin rental, sauna, firewood and propane, kitchenette with utensils and dishes (bring your own food), and comfy beds (bring your own sleeping bag). For the milder days there is a propane BBQ on the deck. Water is hauled from a nearby creek which is part of the simple lifestyle this place has to offer. The beds have comfortable mattresses, however we recommend you bring a sleeping bag with you.The clean outhouse is just a few steps away. If you would like to go in on skis or snowshoes we offer snowmobile support for your luggage for $350.00 + GST, one-way.